Ever wonder what it would be like to be trapped in your character’s body in your favorite online RPG? With AFK the web series you can find out. The series follows several players who get trapped in their characters’ bodies inside their favorite RPG. It’s very entertaining. I became a fan myself when I watched the pilot. I look forward to Season Two. It is definitely one I recommend checking out. I had the good fortune to interview Peter Haynes, director/creator of the series and here’s what he had to say about how the concept came about and the future of the series. AFK is a very interesting concept. How did you come up with it? The seeds of AFK were planted during a mercifully brief period of time where I was addicted to the MMO World of Warcraft. At the time, the game was unlike anything else I’d seen, with a thriving online community, and I found myself spending far too much time in it. I found it interesting that people would spend hours online, honing their archery, blacksmithing, leatherworking and other traditional skills, but if you asked them to do any of those things for real they’d probably be totally lost. That, and the general feeling of being fully immersed in a love / hate relationship with an online game are what drove the original ideas behind AF. How long have you been involved with film and video production? I’ve been involved in filmmaking for over 20 years now, but AFK is one of the most ambitious projects I’ve ever tackled. What made you decide to tackle a web series? To me, web series are the new calling cards for filmmakers. The playing field is constantly changing, and pioneers like Felicia Day with The Guild and Freddy Wong with Video Game High School have shown that’s its possible to make indie series that can reach a massive audience. Just recently JourneyQuest completed a successful $420,000 Kickstarter for their third season, and they started out exactly where AFK is now. Looking back on the entire process–production, crowdfunding, release, etc.–what has been most rewarding for you? I think the most rewarding thing, apart from the cast and crew screening of the completed series, has definitely been the feedback from viewers. The numbers are still growing, but people who have seen us by in large seem to have really enjoyed AFK, and that’s enormously encouraging for the growth potential of the series. AFK Season Two! We’re exploring some avenues for funding, as we want to be able to pay our cast and crew this time, but the main thing is to keep growing our audience. Articles like this help, as do people posting the link to our YouTube channel wherever they can. Recently we got over 4000 views in a couple of days from one unsolicited Reddit link, so it’s always unpredictable where the hits are going to come from, but we need to be out there to get them. 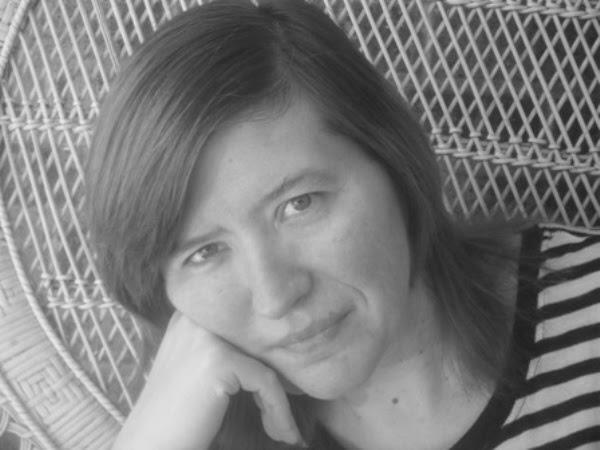 Diane writes fantasy (epic and urban), and paranormal novels and screenplays. She and her family live in the South with their dog and three cats. When she’s not writing she spends her time reading her favorite books which include The Hobbit, The Lord of the Rings and The Dark Hunterseries, playing her favorite online game Lord of the Rings Online, watching some of her favorite movies (Fast and Furious Franchise, Harry PotterFranchise, The Hobbit and The Lord of the Rings) and tv shows (Supernatural, Grimm, The Originals, andArrow). You can read updates about her writing projects and other random topics on her blog: a-creative-mind.com, follow her on facebook (drigginswriter), and on twitter: @sjledge2. Previous Two Independent Ghostbusters Documentaries are Coming!